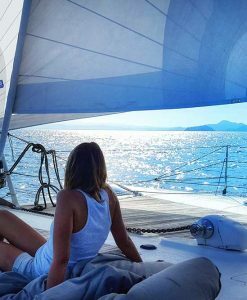 Port Douglas Reef Charters can give you excellent advice about selecting the perfect sailing charter to island destinations off the coast of Port Douglas. Low Isles is one such destination. 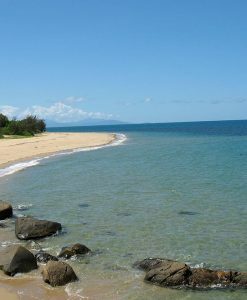 Low Isles is a coral cay island which lies approximately 8 nautical miles off the coast of Port Douglas. A sailing charter to Low Isles with Port Douglas Reef Charters is the perfect way to celebrate a milestone birthday or event. A sailing charter to Low Isles is a great option for a wedding reception idea. A sailing charter is also great for families with smaller children. Low isles is the perfect destination for family groups with small children or swimmers that are not confident in the water. You can snorkel right off the beach at Low Isles. Most of the Low Isles sailing tour operators have glass bottom boats as well. Glass bottom rides are included in the fare price of tour to Low Isles. 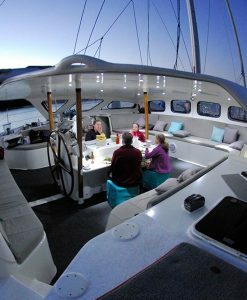 Sunset sailing is also an option from Port Douglas. 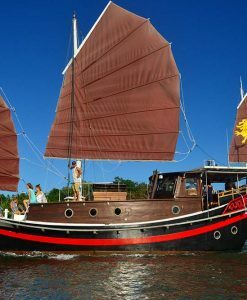 There are a few boats that offer sunset sailing cruises. The local yacht club in Port Douglas also has W.A.G.L.S (Wednesday afternoon Gentlemen and Ladies Sailing) If you wish to participate in WAGLS then head to the Port Douglas Yacht Club before 4pm and chat to the skippers. 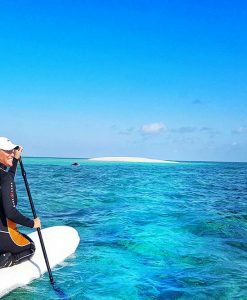 Sailing is the ultimate form of relaxation on the water and a great way to explore the reefs and islands of tropical north Queensland. The Great Barrier Reef and islands are very close to Port Douglas. There is nothing as exhilarating as sailing on the Great Barrier Reef in Port Douglas. Let the winds of adventure fill your sails and inquire with Port Douglas Reef Charters about your sailing options. Low Isles sailing snorkelling tours are available for full or half day tours.